It’s a big year for Lincoln as the city celebrates 800 years of the Magna Carta. It’s important for the area as the Cathedral has one of four remaining copies of the historical document. Until recently it was just displayed in part of the castle but a decision was made to invest in these beautiful parts of Lincoln and so started 10 years of work. There’s now a dedicated vault in the castle grounds for the Magna Carta which opened earlier this year. Then to mark the occaision it was officially opened a few months later by Princess Anne. 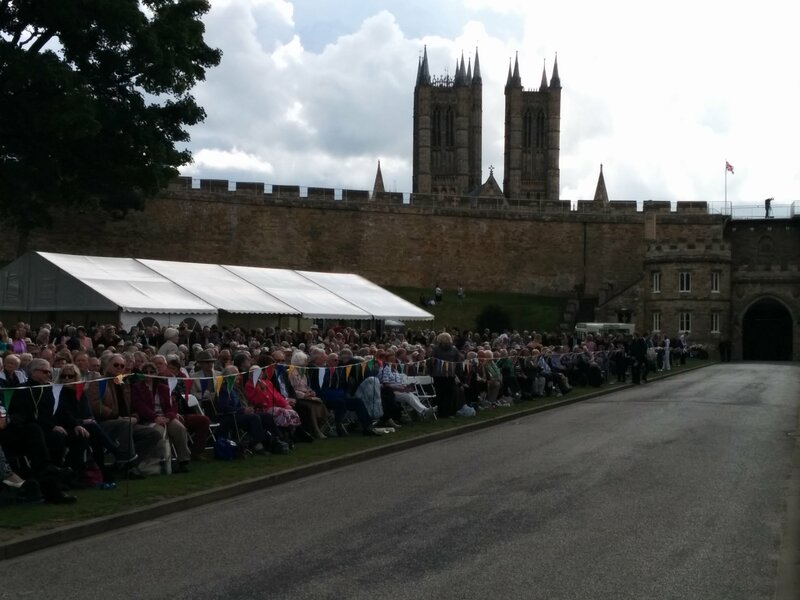 As well as being a chance to show the best of Lincolnshire to royalty it was also a chance for lots of people to come together and celebrate the area. We covered the event throughout the day on our news bulletins on Lincs FM. We started off by having some copy in our bulletins but once I was in the castle grounds recorded a voicer on my smartphone which I sent back to the office. This was then used in the bulletins to help give listeners an idea of how the event was building up. I only had about an hour to interview lots of people before the Princess arrived in the grounds and security protocols kicked in. I used this time to vox plenty of people who were at the event to find out the local reaction. I then spoke to lots of people who had been involved in the project as well as local dignatries. All of these were sent back so the team had lots of different interviews to use and reflect how the event was moving on. I was also making sure to record lots of sounds, clapping and speeches so I had lots of bits of audio to play with to make a package. Then I had a chance to just enjoy the event and the excitement of Princess Anne arriving. At this point I made sure to take plenty of photos and also tweet the news on the station’s Twitter account. Then as they were enjoying their tour of the castle I went back to the office to assemble my package. I looked up what the team had already used of my audio. I then built a simple story that I wanted to tell in my package, only using the best bits of my interviews and recordings. It was really interesting to cover this event, not only was it an important day for Lincoln it was also a chance to be creative. More importantly it was good to work with the rest of the team, providing them with good quality interviews to help them out with news bulletins whilst out reporting. It was also great to think of the story beyond just what was going out on the station and remember the importance of social media too.